Strawberry Cake Balls for National Strawberry Day! Did you know February 27 is National Strawberry Day? What better way to celebrate than with our delicious Strawberry Cake Balls! We make our strawberry cake from scratch using real strawberries to create this old-fashioned favorite. We then blend our homemade strawberry cake with strawberry frosting, dip it in a vanilla coating, and top it with pink sprinkles to create a deliciously moist and decadent cake ball. Order your cake balls today to celebrate! » Golf Balls are Flying! » Go Back to School with Cake Bites! » Whimsical Cake Pops for a Baby Boy! 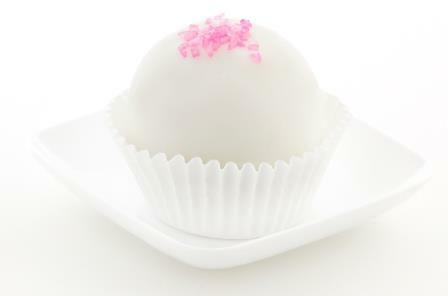 » Get Your Cake Ball Fix in Downtown Dallas!